A classic round shape gets an update with the unique X shape styling of this three piece occasional table set. 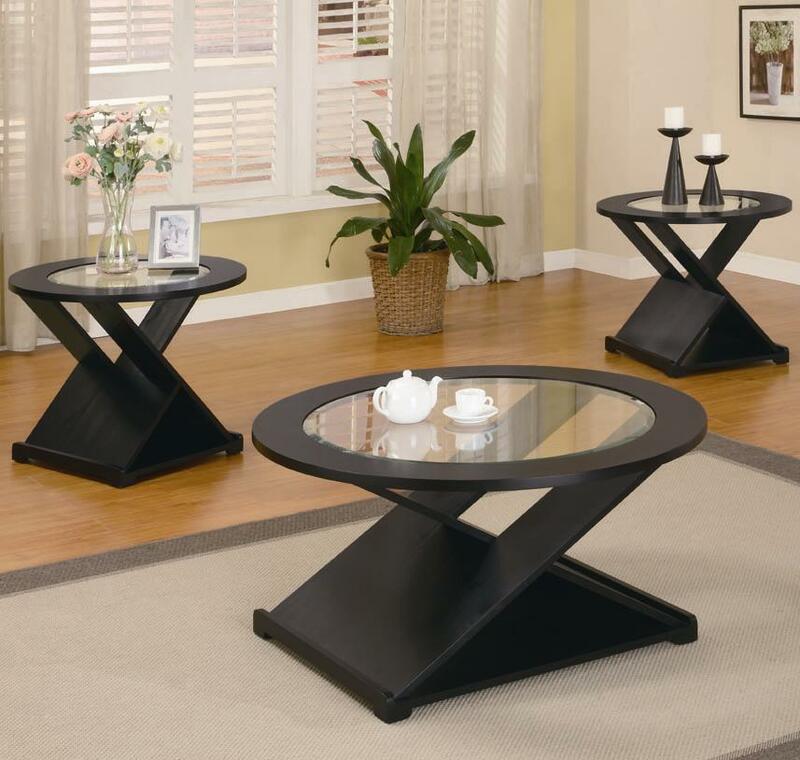 A coffee table and twin end tables bring their circular design, sleek glass tops and chic black finish into your home for a living room that makes the most of modern decor. Glass panes are surrounded with rich black frames and form a beautiful surface for lamps, vases and decorative accents. The unique design of the table tops lets the bold X styling on the bases shine through, adding contemporary style and modern appeal to your living room. The Occasional Table Sets Contemporary 3 Piece Round Occasional Table Set by Coaster at Al-Mart Furniture in the Oak Park, River Forest, Chicago, Elmwood Park, Forest Park, River Grove, Maywood, Melrose Park, Berwyn, Cicero, North Riverside, Brookfield, Lagrange Park, Franklin Park, Norridge, Oakbrook, Elmhurst, Bensenville, Lyons, Stickney, Harwood Heights, IL area. Product availability may vary. Contact us for the most current availability on this product.